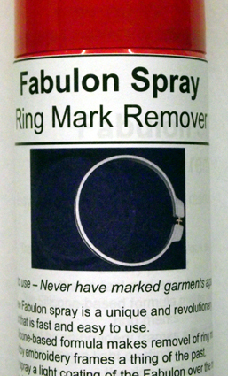 Fabulon Ring Mark Remover Spray is the only product for removing ring marks and creases from garments. 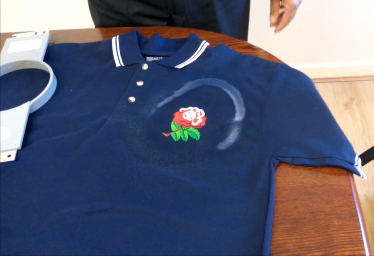 Every embroidery and heat press company has problems with ring marks. 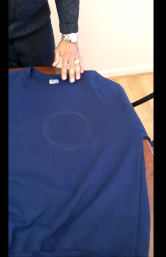 Fabulon is the easy and quickest way to get rid of these marks. 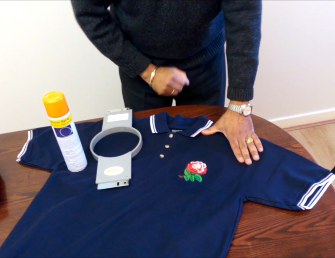 No need for steaming, ironing or other methods. 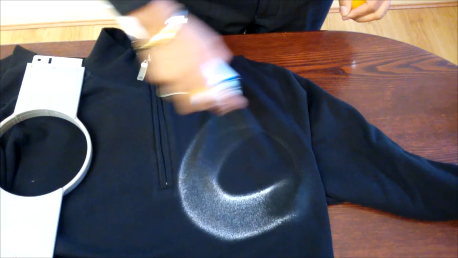 Simply spray Fabulon over the ring mark and after a few seconds rub the mark away with your fingers. Safe to use. 300ml can.